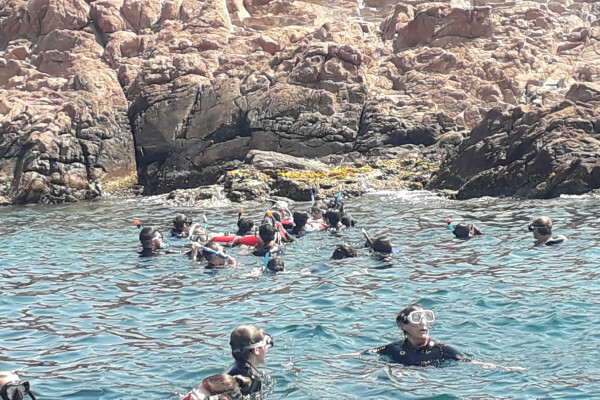 Ready to dive and discover the most beautiful seabed of Fréjus. 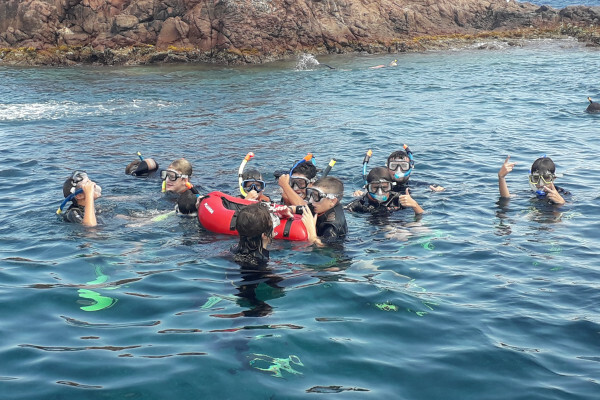 A pair of fins, a mask and a snorkel are enough to discover the underwater world and its wonders. No need for a diploma, license, sophisticated equipment or a high level athlete. 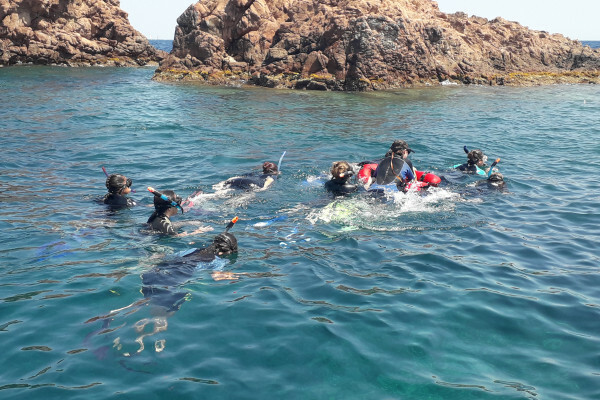 Snorkeling: A pair of fins, a mask and a snorkel are enough to discover the underwater world and its wonders. No need for a diploma, license, sophisticated equipment or a high level athlete. The activity is accessible to all and practicable from 7 to 77 years and supervised by a monitor. Most of what is interesting is located in the shallow waters. So why deprive yourself of the pleasure of discovering with family or friends the joy and well-being of moving in weightlessness. Once your head under the surface of the water, the adventure begins.